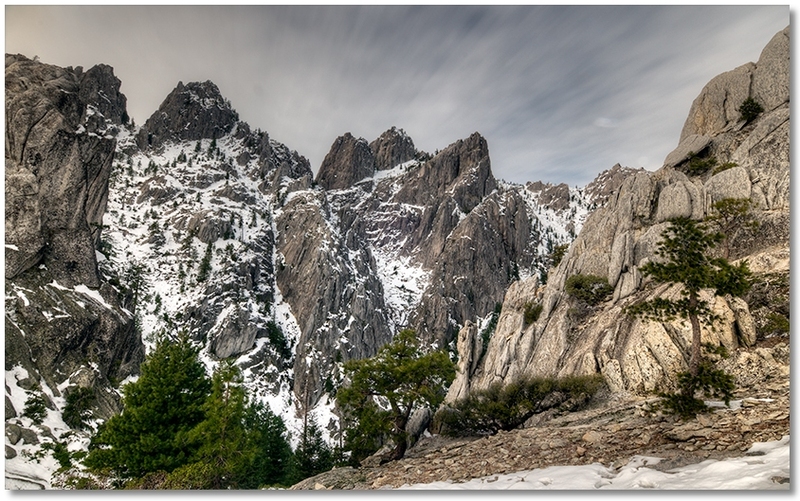 Foolishly believing the weather report that another "storm" was coming, I hiked up to Castle Dome to beat the snow. The day started out overcast, then turned into what might qualify as "mostly sunny" for the hike up to the base of the Dome, then degenerated into more of an overcast, breezy, somethings-coming-in kind of a day. There was snow on the ground for the last ¼ of the trail or so, which made some of the steeper sections much more interesting coming back down, but it was a good hike nevertheless. 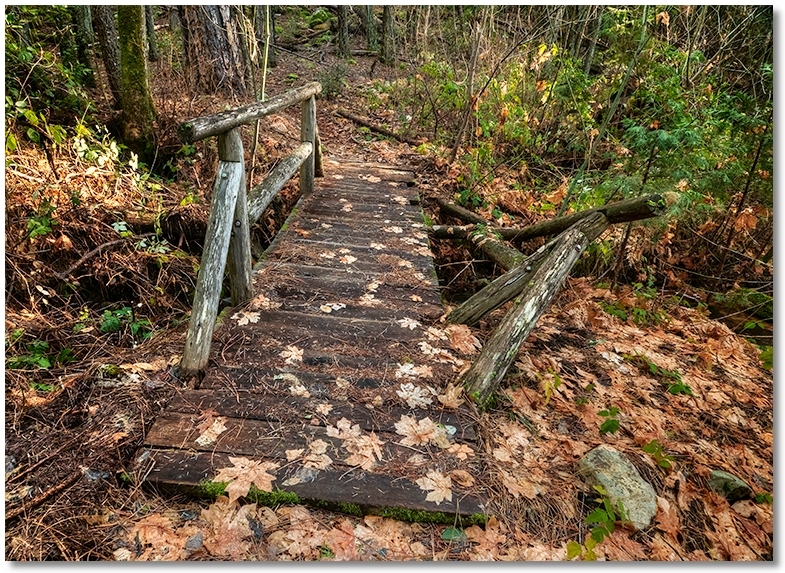 Most of the trail felt as if you were walking on a very firm mattress covered with oak leaves and pine needles. 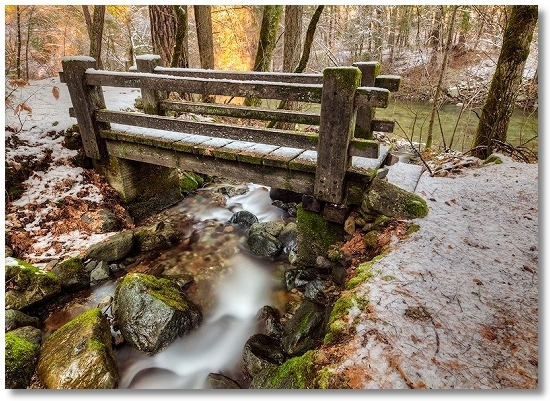 My favorite bridge on the Flume Trail is falling apart! I left the house early on a 21° morning hoping to find a sunny place to hike. About mid-morning it warmed up a bit, and I had a nice hike, going out the Indian Creek Nature Trail, then the Flume Trail up to the Pacific Crest Trail, then back the same way. 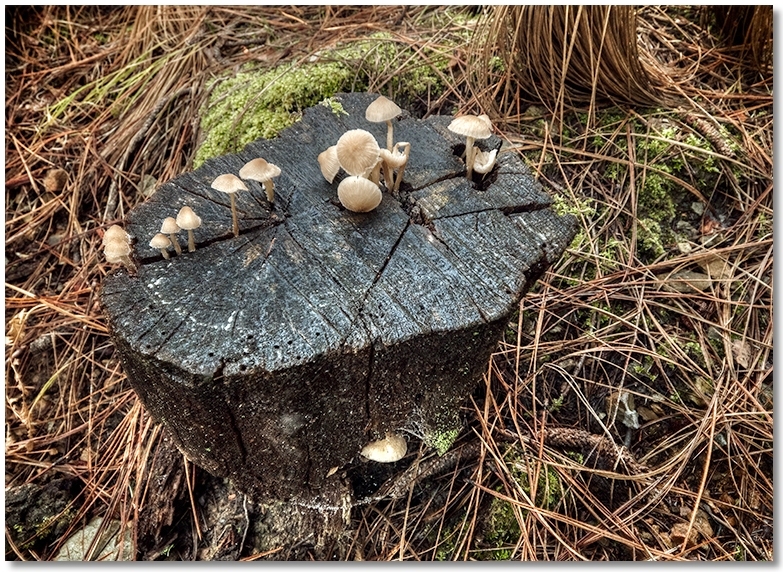 There were mushrooms coming up here and there, with the group below staking out the stump as their territory. 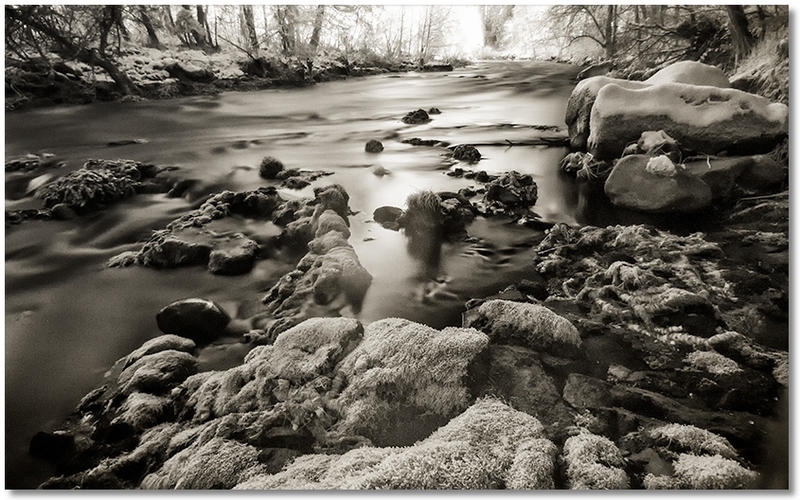 Another break in the weather and another trip down to Castle Crags, this time on the River Trail. There was a surprising amount of snow in the Park, and with the road to Vista Point closed I looked around for a low-elevation spot that I hadn't been to in awhile. 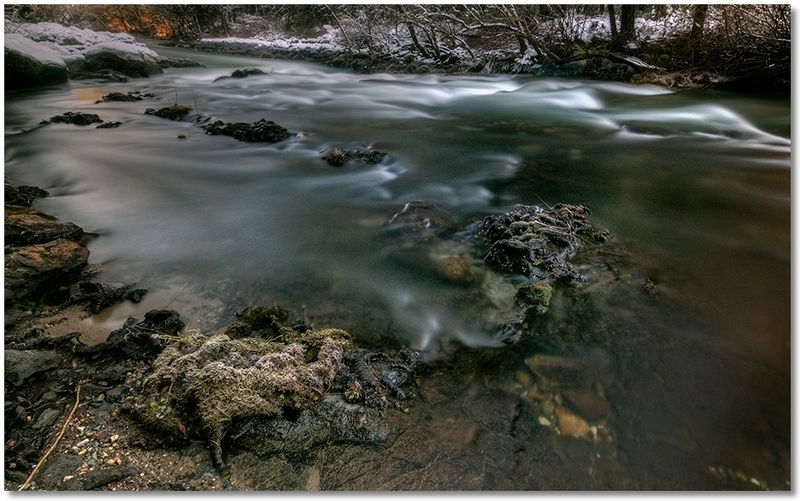 On a 24° morning the lack of sunlight on this side of the river keeps things in a deep-freeze, and several cool-looking rocks I came across in creekbeds were frozen solid to the ground and thus remained there. As it got closer to noon everything was getting bombarded with falling ice chunks from the trees, so I had to keep my camera gear out of harm's way. Even though, this trail is a very pleasant walk in just about any weather.